For extra savings and convenience pre-book an airport hotel and parking deal at Edinburgh with Airparks. For those wanting to start their holiday from Edinburgh a little early, why not look at staying in one of the hotels located nearby? Offering a relaxing base, you'll get a great night's sleep and head to the airport fully refreshed. We have a fantastic choice of hotels at Edinburgh airport, catering to all budgets, which offer not only the ultimate in convenience, but provide an excellent parking option, too. Choose one of our money-saving Edinburgh airport hotels with parking packages to save yourself time and guarantee a smooth start to your holiday. If convenience is a top priority, it could be that parking at the hotel will tick all your boxes. For the duration of your holiday, your vehicle will stay at the hotel's car park, so you won't have to worry about moving your car on the day of your flight. You'll need to catch a transfer to and from the airport, either by taxi or shuttle bus, which usually takes between 2-5 minutes. The Holiday Inn Express at Edinburgh Airport offers a great hotel parking deal with 24-hour shuttle buses running from the hotel to the terminal, costing £2.50 per adult. A number of our Edinburgh Airport hotels can be combined with parking off-site at a dedicated Park and Ride facility such as Secure Airparks. 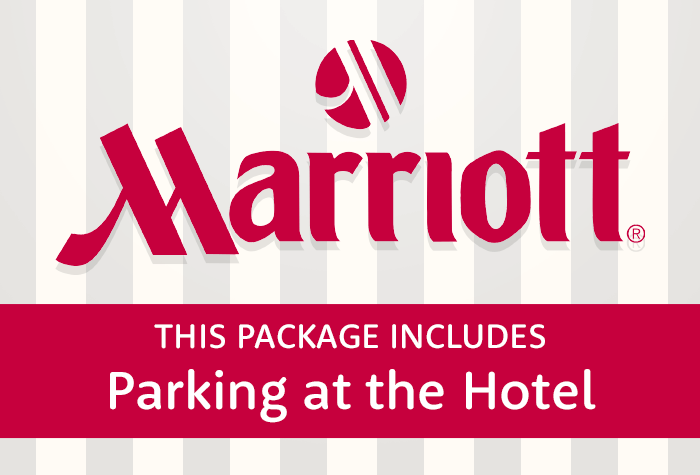 With these packages you'll often park at the hotel overnight, then move your vehicle to the car park the next day. From there, simply catch a transfer bus straight to the airport, which will take about 2 minutes. These are a popular choice with travellers who are on a budget as they are generally the cheaper option. 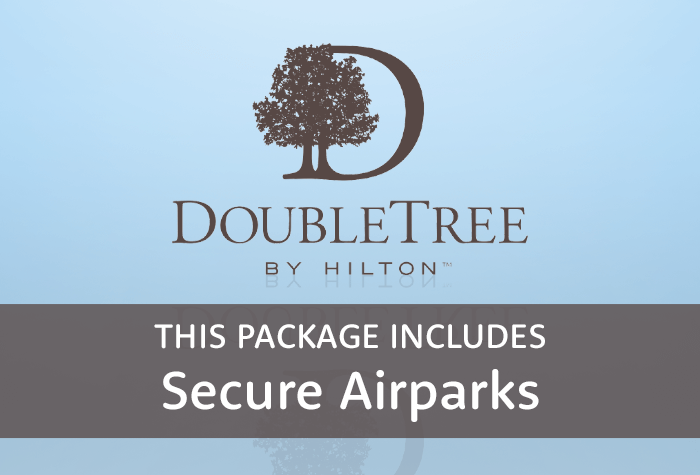 Airparks also package our hotels with Maple Manor Meet and Greet which we think is the most convenient option. There are no extra charges for parking overnight at the hotel. In the morning, drive to the terminal and pull into the drop off area in the adjacent car park (full directions are provided with your Airparks booking confirmation). A Maple Manor attendant will meet you and collect your car keys. You can walk directly to check-in from here. When you return, walk back to car park collection point where your car will be waiting for you. For something a bit more cosy, opt for our top B&Bs at Edinburgh Airport picks. Find a comfortable and peaceful place to sleep before you travel! If you're working to a budget or just looking to save a few pennies on your stopover then it could be worth looking at our cheap Edinburgh Airport hotels. While these hotels may be a little further from Edinburgh Airport, or they may not have the same facilities as some of the other hotels, they'll still give you a comfortable and convenient place to rest your head the night before your flight. You don't need to stay within the airport grounds to enjoy a peaceful nights sleep and easy access to the terminal. We have a fine selection of off-site hotels near Edinburgh that are just a short distance away and provide efficient links to the airport. Since airport hotels are often priced based on their distance to the terminal, booking an off-site hotel is an ideal choice if you're on a budget and looking to spend more where it matters: your trip! 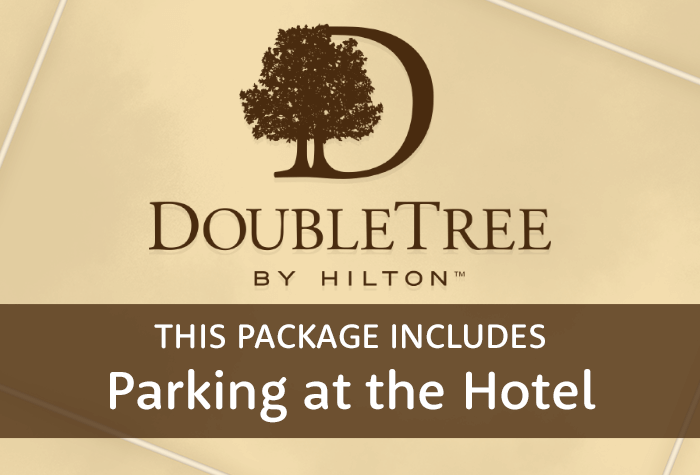 Doubletree by Hilton is the closest hotel to the terminal, located within the perimeter of the airport itself, and a great option for those who want the most straightforward start to their holiday. This 4-star hotel, boasting facilities such as a swimming pool, health club and beauty salon, is also a fantastic choice if you're looking to kick-start your trip with a few luxuries. As one of our Edinburgh airport hotels with parking, you can combine your overnight stay with parking at the hotel's on-site facility. On the day of your flight all you need to do is hop on the free, 24 hour transfer bus, which will get you to check-in in just 2 minutes. Alternatively, if you don't have much luggage and fancy a stroll, you can walk to the terminal in just 7 minutes. For a pre-holiday treat, the 4-star Marriott hotel, located just 2 miles from the airport, is definitely worth keeping in mind. Take time to enjoy the excellent facilities on offer, such as the leisure club, swimming pool, and beauty salon before heading up to your spacious bedroom. To keep your airport experience fuss-free, pair your room with parking at the hotel. Leave your car at the hotel's car park and on the morning of your flight catch a complimentary taxi to the airport - you'll be there in 5 minutes. For those looking for affordable prices, choose a room at the Holiday Inn Express, located just 1/2 mile from the airport itself. The modern hotel has spacious rooms, a restaurant and bar, and also offers parking at the hotel for guests. A transfer service runs 24-hours a day, costs £2.50 for a return and takes just 4 minutes to get to the terminal. Expect all the essentials to make your stay feel homely at the 3-star Travelodge. Before you retire to your comfy room for the evening, enjoy your favourite meal and drink at the on-site restaurant and bar. The next morning, there's a buffet breakfast available for you to tuck into before you fly. If you choose to add parking to your booking, you'll leave your car at Secure Airparks' facility while you're away, which is roughly a 9-minute drive away from the hotel. Free transfers from the car park to the terminal run 24 hours a day and takes just 2 minutes. Located a little further away from the hustle and bustle of the airport, the 3-star Queensferry hotel, is the perfect place to unwind. With stunning views of the River Forth and great facilities, including free wifi and on-site restaurant, you can't really go wrong. If you add parking you'll be able to park overnight at the hotel for free, then make your way to Secure Airparks on the day of your flight, which will take you around 20 minutes. From there, you're just a 2-minute transfer ride from the terminal. 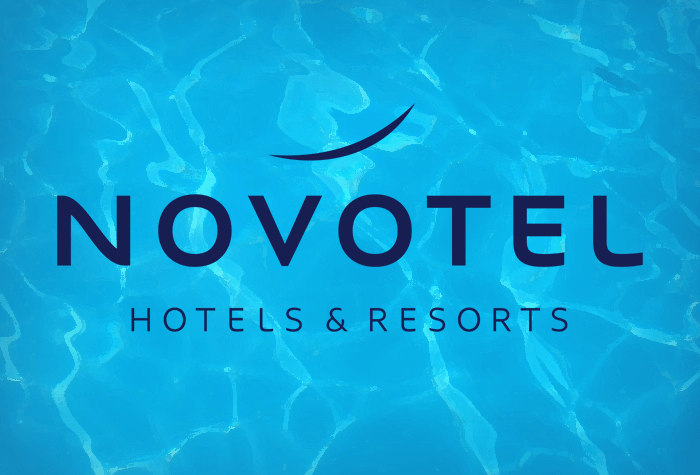 The 4-star Novotel is more than just a place to rest your head for the night. In addition to a comfy bedroom with free wifi and flatscreen TV, this Edinburgh airport hotel is equipped with a generous-size swimming pool, top-notch gym and houses a trendy restaurant and bar. Add parking to your room to keep things quick and simple; park at the hotel overnight for £4, then the following day it's a 12 minute drive from the hotel to Secure Airparks, where your car will stay for the duration of your holiday. From the car park simply catch the free transfer bus which takes just 2 minutes to reach the terminal. 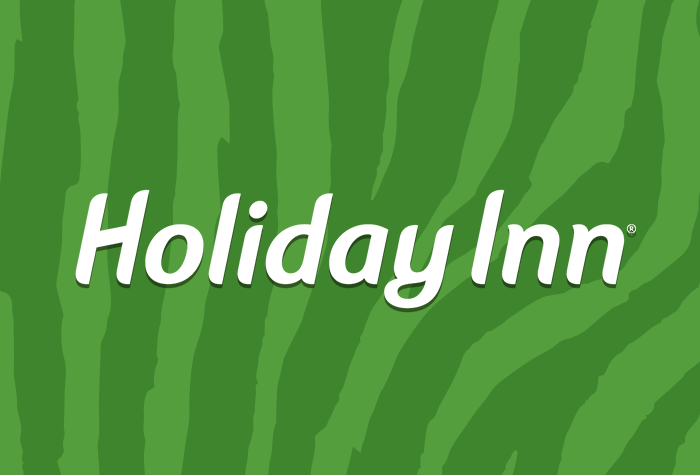 Along with all the essentials for a comfy stay, Holiday Inn boasts a few welcoming extras that are sure to get you in the holiday mood early. As well as a comfy bedroom with free wifi, and a welcoming restaurant and bar, you'll be able to take advantage of the on-site swimming pool, spa and gym! Right next door is Edinburgh Zoo, perfect for a bit of pre-holiday fun and, even better, guests can enjoy half price entry after 3PM. If you choose to bundle your room and parking together you'll need to head to Secure Airparks on the morning of your flight (which will take around 15 minutes). From the car park, catch the free transfer bus which will take you straight to the terminal in 2 minutes. It's easy to see why the Holiday Inn Express is one of our most popular Edinburgh airport hotels with parking. At this newly refurbished airport stopover, expect modern and comfortable facilities, a short 4 minute transfer to the terminal and convenient parking within the hotel grounds. As a guest you'll also be able to enjoy a free breakfast to set you up nicely for your flight. As one our most affordable hotels near Edinburgh, it's a top choice with holidaymakers on more of a budget. 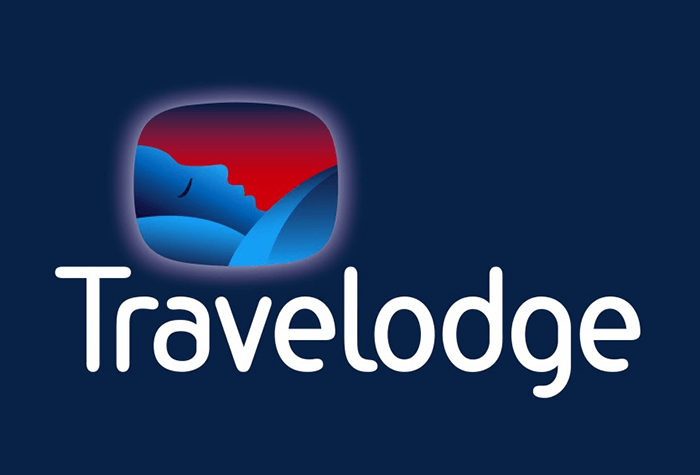 If you're looking for simple and comfy airport accommodation just minutes from the terminal - 5 minutes away to be exact, be sure to consider the Travelodge. Parking at the off-site Secure Airparks helps to drive your total costs down. The family-friendly Holiday Inn boasts 4-star facilities including swimming pool, spa and gym, without the 4-star price tag - it's not a surprise that it's a firm favourite with customers. While you're on holiday your car will be safely tucked away in the award-winning Secure Airparks facility, just a 2 minute transfer away from the terminal. 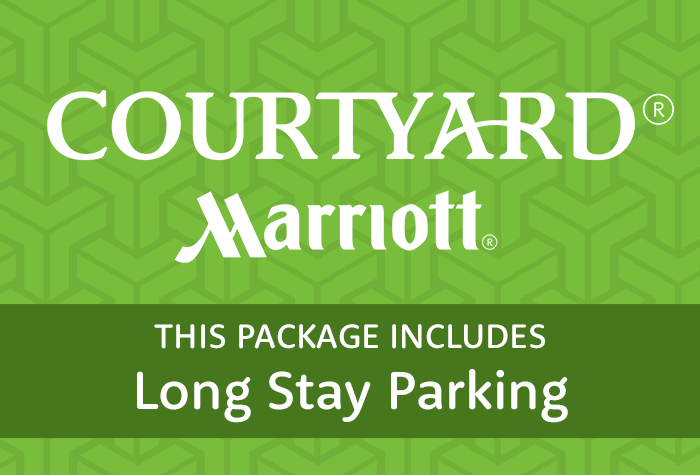 The 4-star Marriott is one of our most stylish Edinburgh airport hotels and, when you pair it with parking at the hotel, it's easily one of our most convenient packages. Not only will you be able to enjoy amazing facilities such the swimming pool and beauty salon, you'll also be able to enjoy hassle free parking. Your car will stay safe and sound in the hotel's car park and your transfer to and from the terminal is extremely easy; catch a complimentary taxi that takes just 5 minutes. All of our Edinburgh airport hotels have on-site restaurants serving up breakfast, lunch and dinner for your convenience. Whether you're looking forward to a gourmet meal to celebrate the start of your holiday or something tasty and low-cost, we have a hotel that will suit your dining needs perfectly. Wake up rested to a full free breakfast to set you up nicely for your flight at the Holiday Inn Express. Continental items are served from 4:00AM and the hot buffet breakfast from 6:30AM - and remember, youre just a 4-minute transfer away, so you have plenty of time to tuck in. For just £7.95 per person you can fill up on an 'all you can eat' breakfast buffet. Choose from a delicious selection of cooked food or lighter options like fruit salad, yoghurts and croissants. Food is served from 07:00 to 10:00 on weekdays, and 08:00 to 11:00 on weekends. The award-winning breakfast buffet at Holiday Inn is just £9.95 per person. Enjoy all the cooked favourites like sausages, bacon, beans and black pudding, in addition to a tasty continental spread of cereals, fruit and pastries. Breakfast is served from 06:30 until 10:00 in the week and from 07:00 until 11:00 at weekends. We have a couple of hotels at Edinburgh airport that are perfect if you're looking for a fine dining experience. You're sure to find a dish to tempt your tastebuds at The Space at Doubletree by Hilton. The modern and inviting restaurant serves up a selection of elegant pasta and meat dishes, along with a range of grill favourites. A main meal ranges from £12 to £17.25, with grill items costing a little extra. Who could resist a fresh, locally sourced dish off the Source Grill menu at the Marriott? Enjoy a classic meaty dish from the grill, an inspired vegetarian option or maybe a lighter salad in a stylish and welcoming atmosphere. An average meal will cost around £15. We have a great selection of Edinburgh airport hotels that offer tasty and low cost dishes, not to mention fantastic deals, to help you dine for less. In true Holiday Inn Express style, dinner is a bargain with main courses averaging around the £10 - £11 mark. You'll find all your favourites on the menu including pasta dishes, cod and chips, beef burgers and pizzas. With prices at the Holiday Inn starting at just £10.50 on classics like burgers, steaks and salads, you can't really go wrong. There's also a special children's menu where kids under 12 can eat for free. The Travelodge is here to help keep things cheap and cheerful with their brilliant dinner deals - tuck into any 2 courses and a drink for just £13.25 or a selected main and a drink for only £10.20. Expect a top-notch menu with all the favourites like lasagne, steak pie, burgers and pizza. North Shore restaurant at Queensferry has a delicious blend of traditional favourites like fish and chips and more speciality dishes such as confit duck leg salad on their menu - ideal if you're looking for a dining experience that's a bit special but still easy on the purse strings. They also offer their 'Twenty's Plenty'; menu where you can indulge in 2 main meals, 2 drinks for just £20, serving between 12noon - 6PM. Good price, easy booking, helpful professional staff and pleasant hotel surroundings situated very conveniently for the airport terminal.